We’re in the final weeks before the arrival of Baby Sussex and the royal family members, especially Prince Harry and Meghan, Duchess of Sussex, are preparing accordingly. But while they’re juggling public duties with moving house and preparing for the birth of their first child, we’ve also learned that Harry reportedly took Meghan on a babymoon as a way of getting some much-needed (and deserved) one-on-one time. Before the couple made their move from Kensington Palace to Frogmore Cottage in Windsor this past week, we’re learning through a royal reporter at UK outlet The Sun, by way of Marie Claire, that Harry and Meghan decided to partake in the new tradition of taking a babymoon. Much like a honeymoon, a babymoon is meant to be one last relaxing trip to celebrate the beginning of a new chapter as a parent to your new baby. Seeing as these two are royals, we’re not at all surprised that Harry and Meghan had an extra luxurious babymoon, according to a source speaking with The Sun. 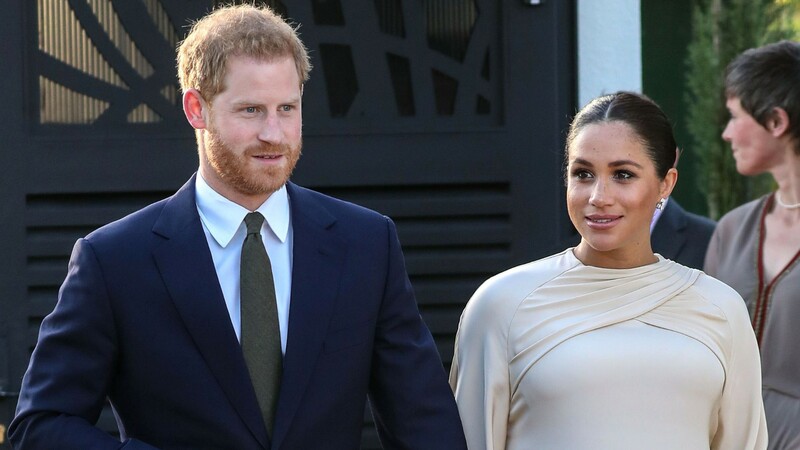 According to the outlet, Harry and Meghan apparently chose to take their babymoon in Hampshire, UK at the Long Room of Heckfield Place country house, where rooms typically cost £10,000. That’s a steep price no matter which way you slice it, but we have a feeling they might have been able to skip that part given the fact they’re royals. The source additionally claims that Harry and Meghan “wanted total rest and relaxation, and Meghan was really attracted to the organic ethos of the hotel which produces much of its own food on an on-site farm. It was very chilled. Meghan and Harry have been busy, busy, busy during Meghan’s last trimester so regardless how expensive their babymoon may have been, we hardly fault them for taking some much-needed R&R. In the last few months alone, Harry and Meghan have not only moved, but they’ve also started their own Instagram to track their royal and charitable endeavors; Meghan apparently had (or will soon have) a second baby shower following a lavish one in New York City in March; and Meghan received a new role courtesy of Queen Elizabeth II on International Women’s Day, becoming Vice President of The Queen’s Commonwealth Trust. With reports suggesting Meghan is due sometime in late April, the arrival of Baby Sussex is nigh. And even though this is Harry and Meghan’s first child, the duchess is already looking to balance being a new mom with her work duties. Meghan is already planning her return to work come October. The adventure is just beginning for this royal couple, so hopefully, they got all the rest they needed on their plush babymoon.